The Kwazar Mercury Pro+ Spray Bottle is a high quality spray bottle that will work great with any of your detailing chemicals. Fill each sprayer with your favorite product and the level indicator on the side allows for easy measurement in either ML or Pints. The high quality Viton seals are resistant to most chemicals, so using anything from carpet cleaners and window cleaners, to instant detailers, wheel cleaners, degreasers, etc. is a breeze. The unique double action trigger allows for a constant fine spray or large mist, with less hand fatigue and super easy application. These bottles are great for cleaning wheels and tires, windshields, large panels covered in bugs and so much more. 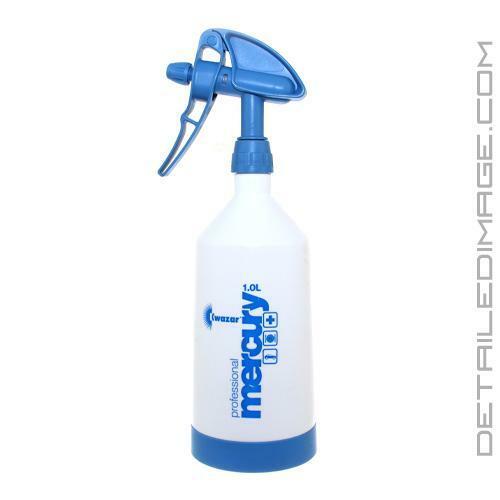 Pinpoint and clean those dirty areas with the Kwazar Mercury Pro+ Sprayer Bottles! Looking to apply a continual spray at all angles, sideways or even upside down? The Kwazar Mercury Pro+ 300 Sprayer should be your choice! There are a lot of inexpensive spray bottle options out there, and to be honest, I had never considered a premium bottle until trying the Kwazar bottles. The difference is tremendous. The Kwazar bottles are extremely well made, and feature a sturdy, durable plastic bottle with a very nice sprayer attached. These are a great option for the professional who is tired of replacing spray bottles on a regular basis, or for the enthusiast who wants a long lasting product. Quality time saving sprayer. Effective and efficiency is all I'm into when in comes to detailing products that fit the bill as they say. My go 2 bottle for liquid detailing products. More to come in future. 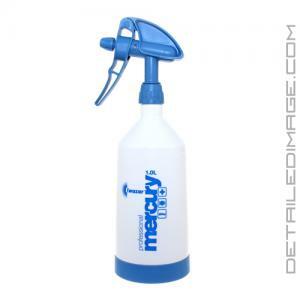 I used the mercury pro spray bottle for the lubrication process of claybaring . I have to say much more effeient than my past spray bottle . I didn't need this, but it was a Great price and I've wanted one for a long time, so I figured I'd take the chance and I'm glad that I did. Detailed Image put it on sale and that was all that it took to get me to try it. Thanks DI! What I like about this is the double spray action and the fact that it holds quite a bit of product and saves time by not having to mix up batches as often. I use this for mainly spray detailer and no rinse washings/clay bar lube (ONR). It works like a Champ and keeps my hand from getting cramps (I know, that's a little dramatic, but it does make spraying easier). I'm not a Professional detailer, just a Guy who likes taking care of their cars and likes products that make that job easier and more efficient. This Kwazar bottle does that.